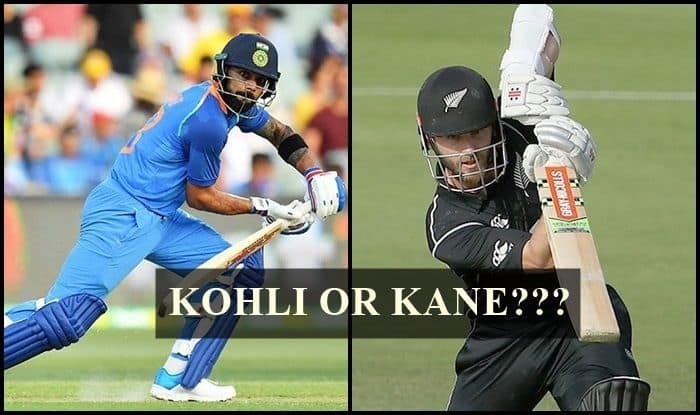 1st ODI India vs New Zealand: How Can Kane Williamson’s Blackcaps Surpass Virat Kohli’s Men in Blue in ICC Rankings? 1st ODI India vs New Zealand: The New Zealand series is expected to be India's real test ahead of the all-important World Cup that will be played later this year. 1st ODI India vs New Zealand: The New Zealand series is expected to be India’s real test ahead of the all-important World Cup that will be played later this year. It will also give Kohli and his men an opportunity to test themselves in similar conditions, to what they will encounter in England. The Blackcaps are No 3 in the latest ICC rankings and are a far superior side compared to Australia. New Zealand has 113 points, whereas India has 121 points. But, if New Zealand whitewashes India this time, they pip India in the rankings, something India would like to avoid. India is at the second spot in the rankings and hence the clash is expected to be nothing short of mouthwatering when two captains, equally potent and aggressive clash. The Blackcaps have always been a better side at home, like India and hence it will by no means be a cakewalk for the Men in Blue. The Kiwis have won 21 out of the 35 games played in New Zealand. The last time India toured New Zealand in 2013-14, the faced an embarrassing 4-0 whitewash. However, India had won 3-1 in 2009 with MS Dhoni’s India being the first Indian team to win a series in New Zealand. India has the momentum on their side but that counts for nothing when they lock horns with the Black Caps for a five-match ODI series starting January 23 at Napier.